Bands of blue and black embroidered with a leafy filigree offer every excuse to use this purse and eyeglass case combo over and over. Both pieces are handmade of silk in Vietnam. 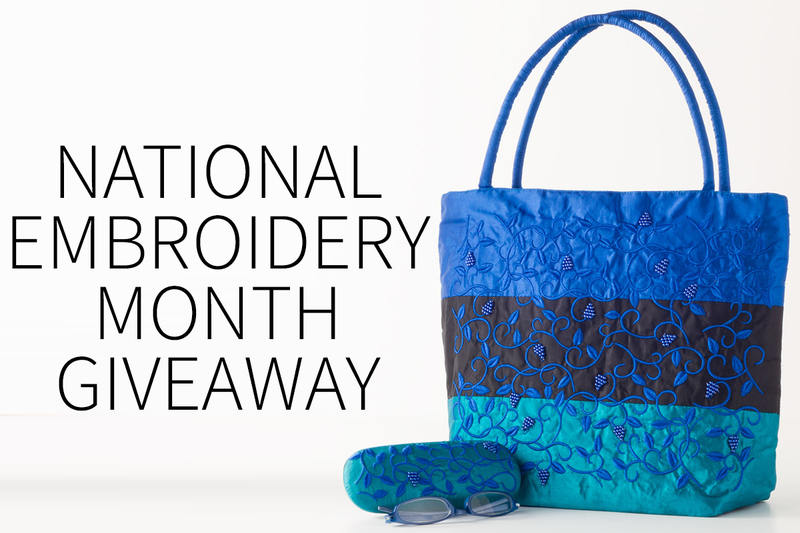 Add something bright and pretty this winter by entering for a chance to win our Embroidered Accessory Set. Enter your name and email in the Rafflecopter application below. Rafflecopter is an application that randomly selects a winner. Once you submit your name and email, it will ask you to complete a few tasks as entries into the giveaway. The tasks include sharing the giveaway on social media, following “The Art Institute of Chicago Museum Shop” on Facebook, Twitter and Pinterest. Please note that every time you complete a task, you increase your chance of winning! Come back every day to gain more entries. The contest ends on midnight CST 2/23/17. One winner will be contacted via email. By entering this giveaway, you are opting in to receive email updates and special offers from The Art Institute of Chicago Museum Shop. Good luck!